How do you make après-ski, or even regular ski, interesting ? 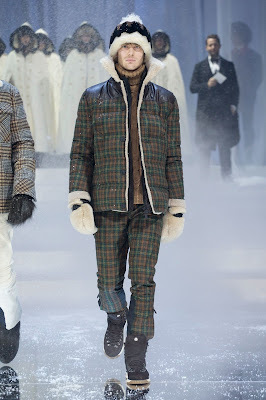 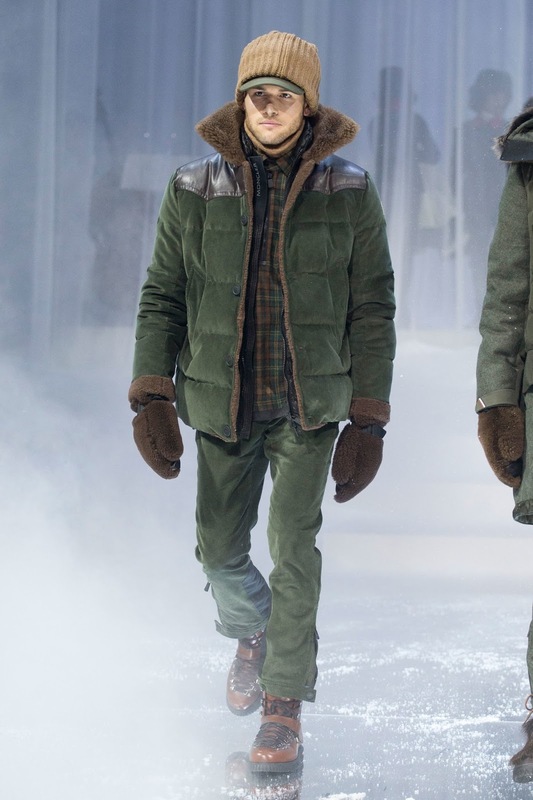 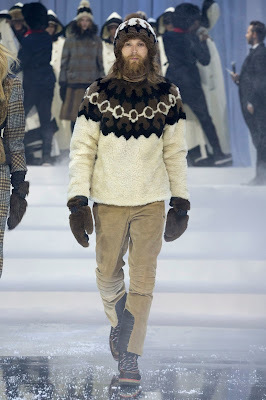 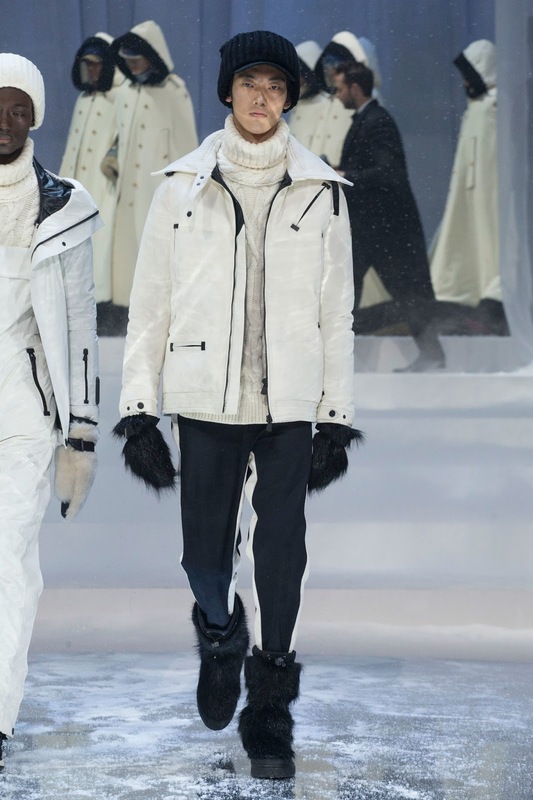 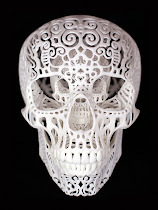 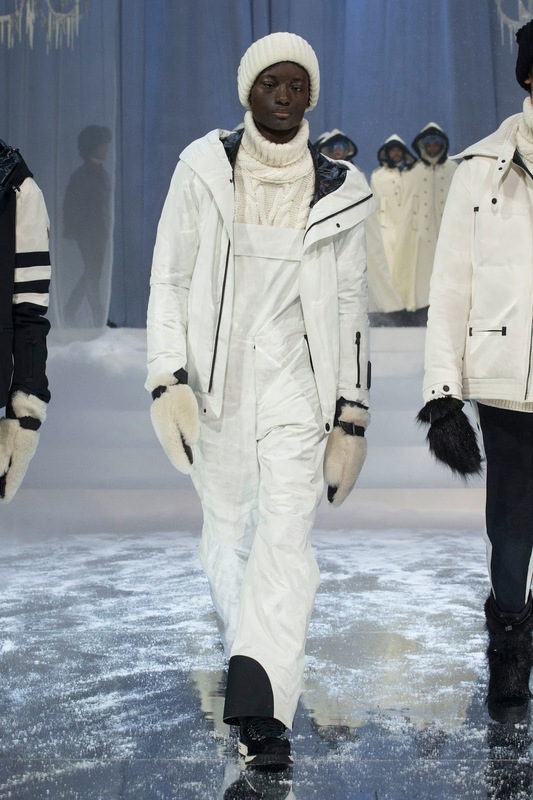 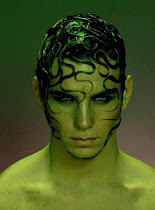 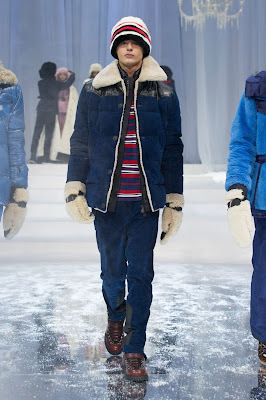 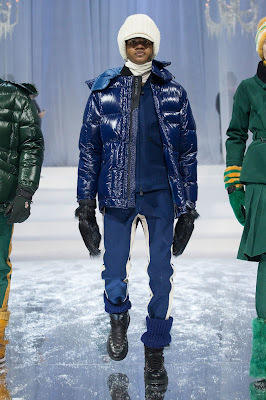 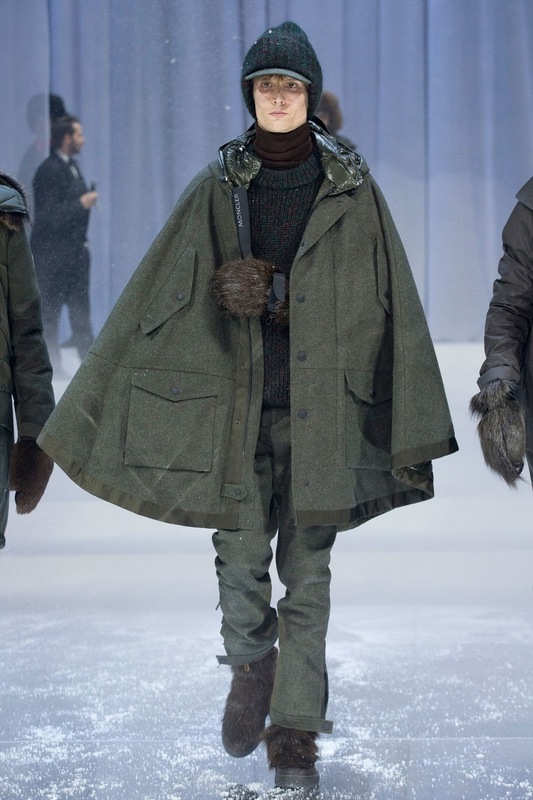 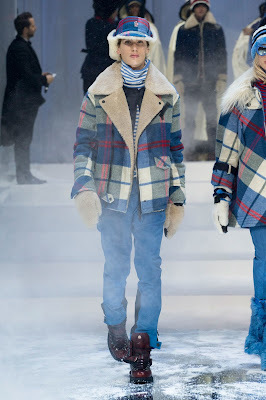 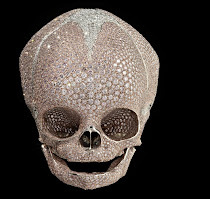 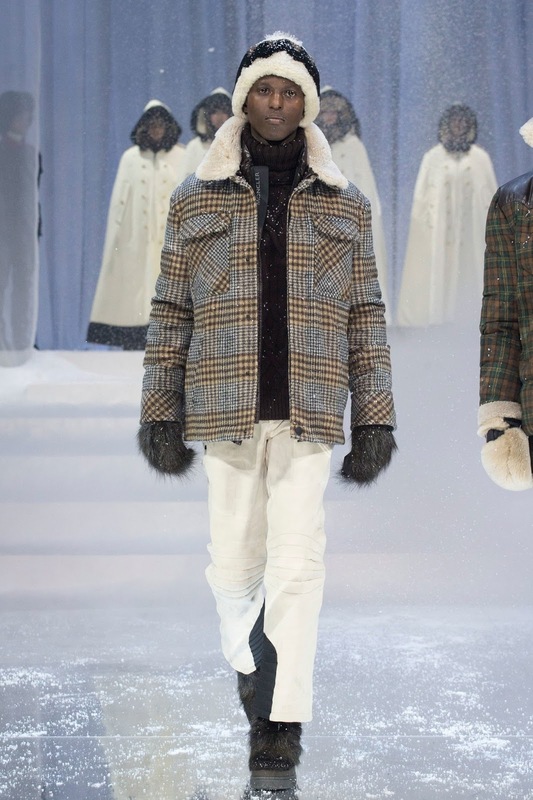 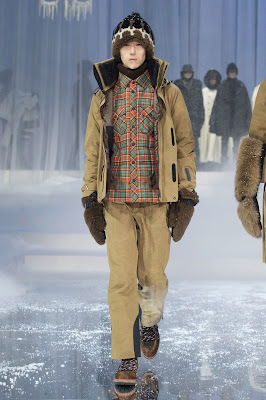 That was the vexing question that seemed to preoccupy the Moncler Grenoble design team. 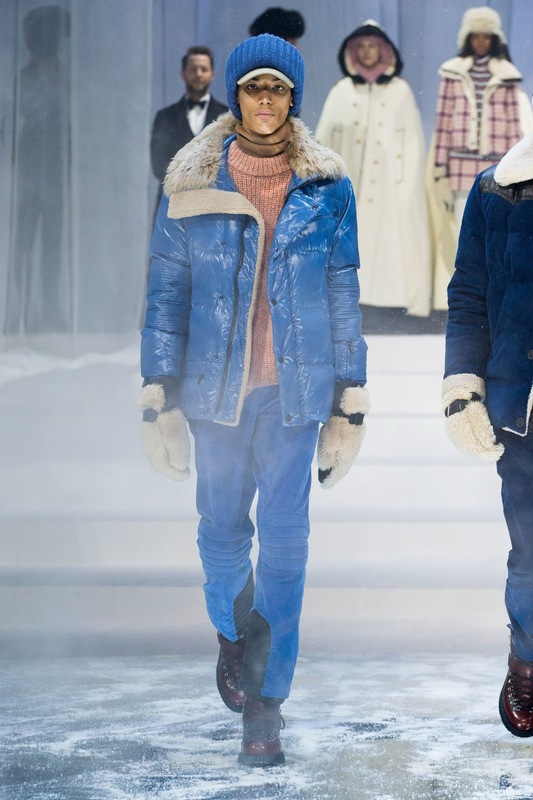 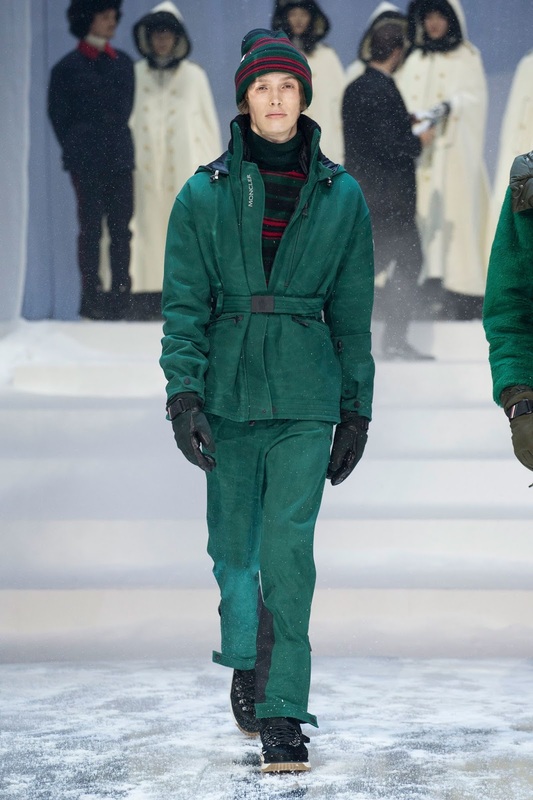 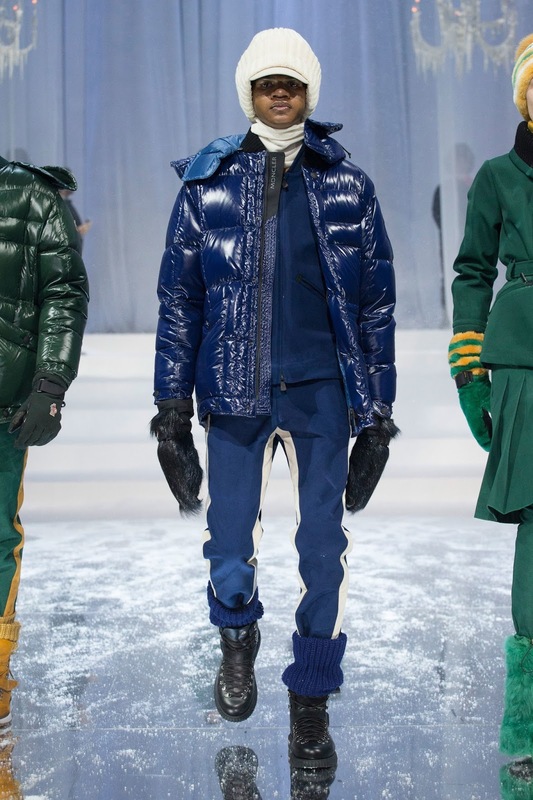 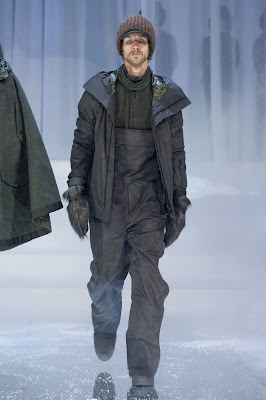 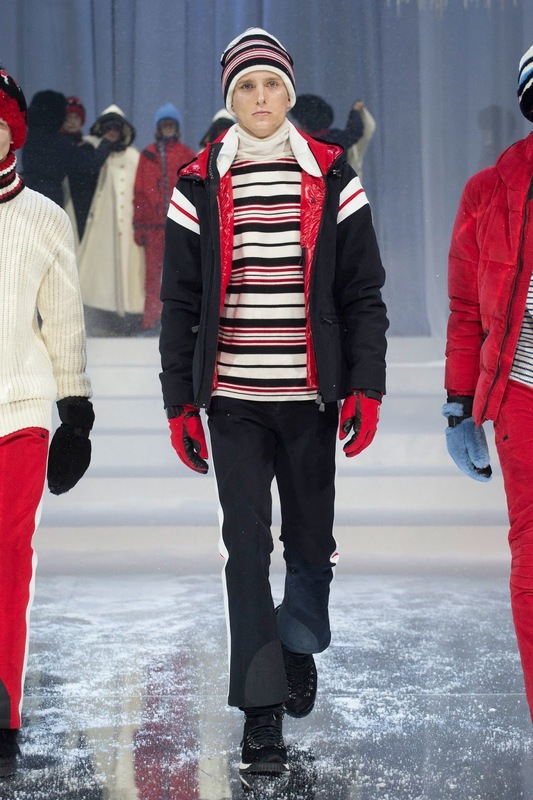 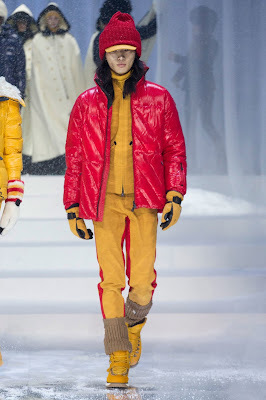 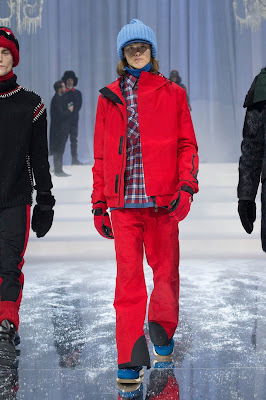 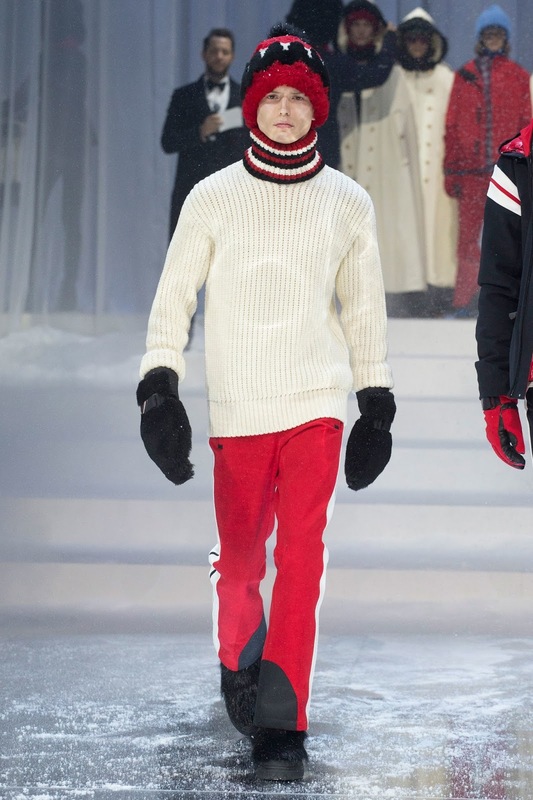 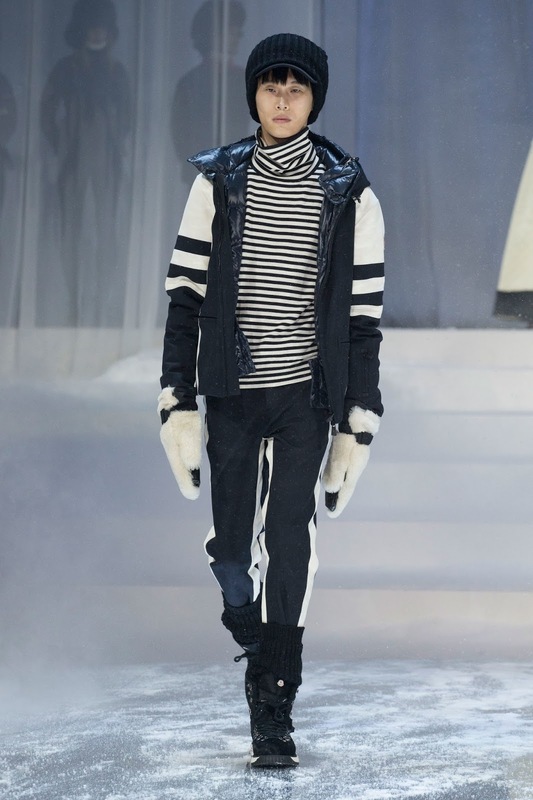 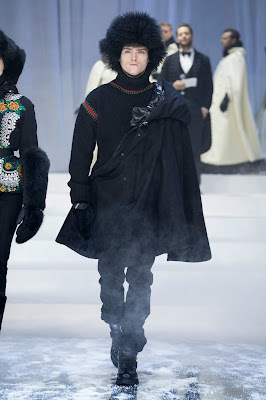 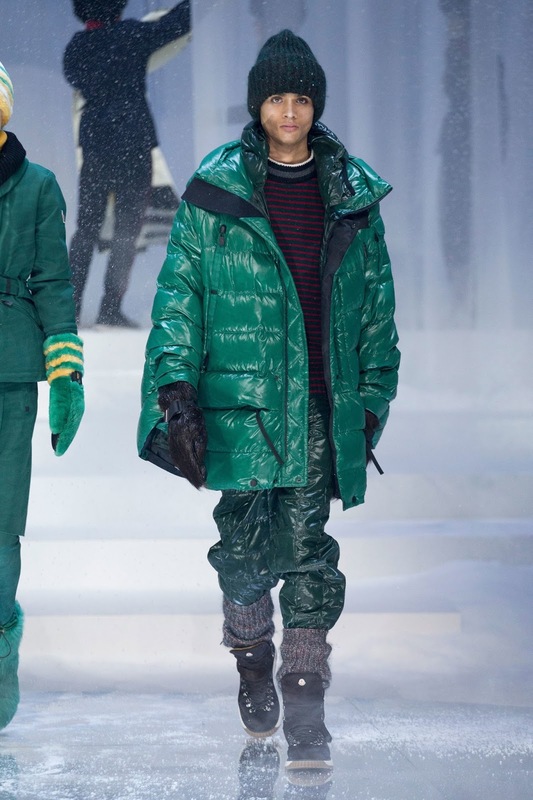 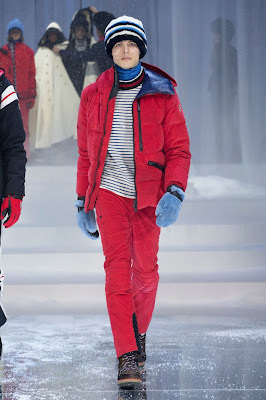 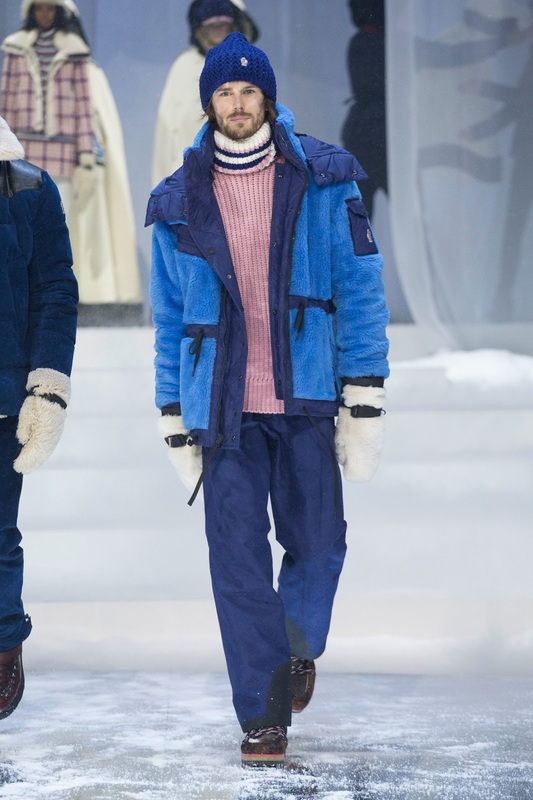 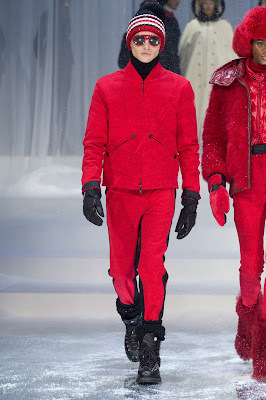 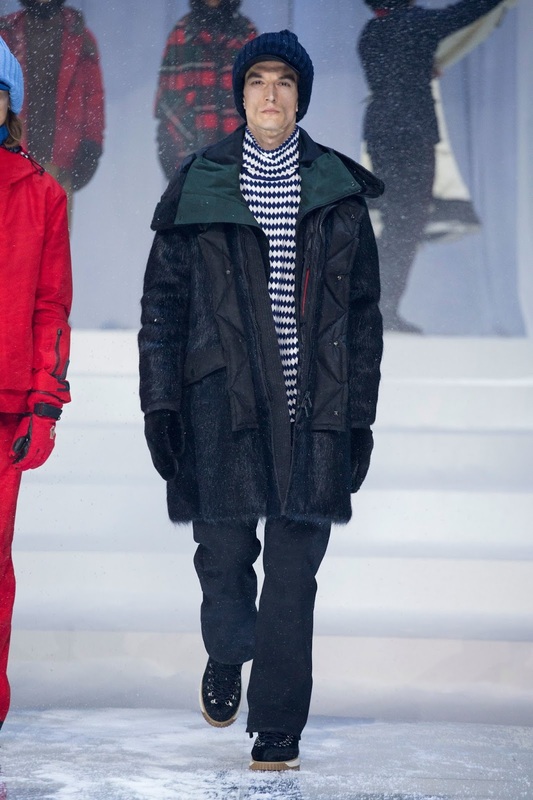 Moncler, after all, has already mastered the art of cold-weather dressing with its couture-like women's and men's lines -namely Gamme Rouge designed by Giambattista Valli, and Gamme Bleu designed by Thom Browne- that push the creative limits of winterwear. 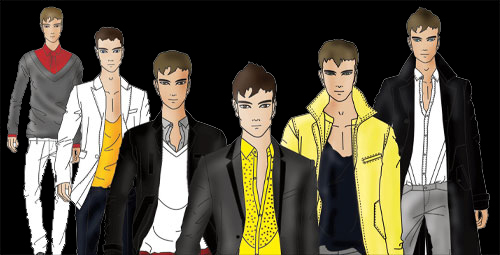 And there have been plenty of capsule collaborations with the likes of Mary Katrantzou, Sacai, and White Mountaineering. 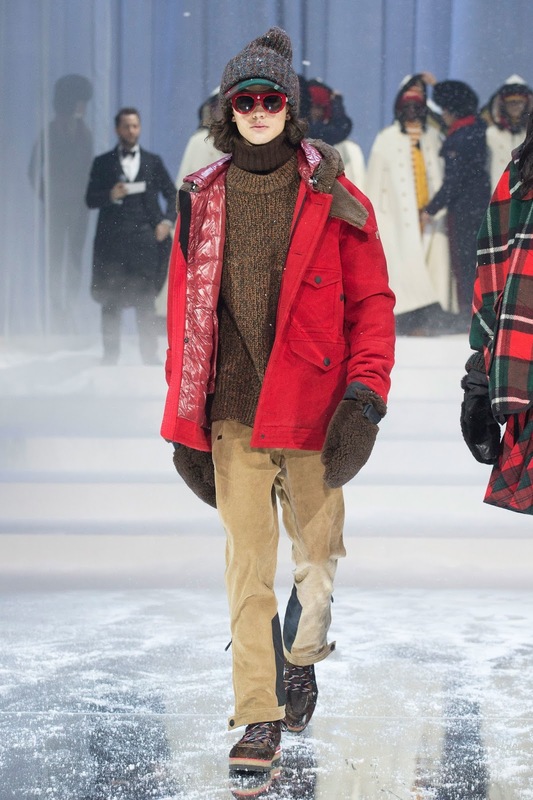 Where does that leave Grenoble, which, after an enchanting flash-mob showing in Grand Central some years ago, increasingly feels aimless ? Presented as an elegant, elaborate winter ball, like a frosty scene out of Doctor Zhivago, the New York show saw models appear in ivory hooded capes, which were doffed to reveal the collection underneath. 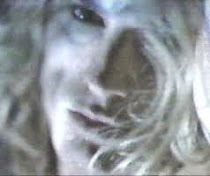 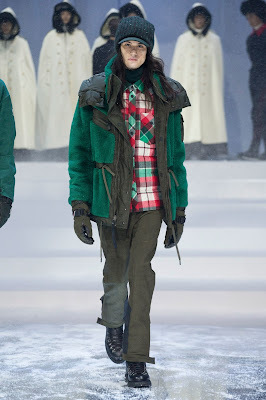 The models then glided, to the strains of a live orchestra, onto a snow-dusted stage in groups announced by a master of ceremonies : the House of the Enchanted Forest, the House of the Frozen Skaters, and so on. 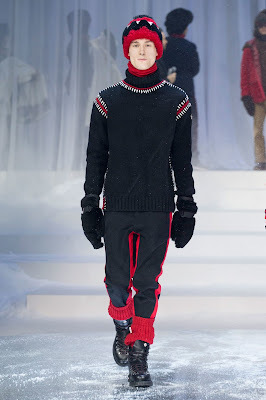 Remove the overwrought staging, however, and there were plenty of nice pieces. Functionality and efficiency were key, as the line is purportedly performance-tested on real slopes ("in the field by sporting talent", according to the show notes). 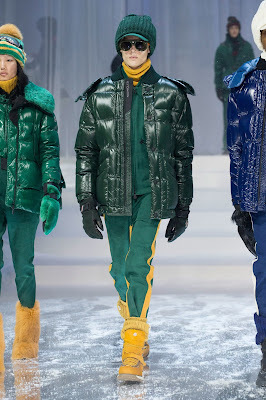 Expected down jackets and padded puffers came in unexpectedly bright hues ranging from red to blue, sun yellow to alpine green. 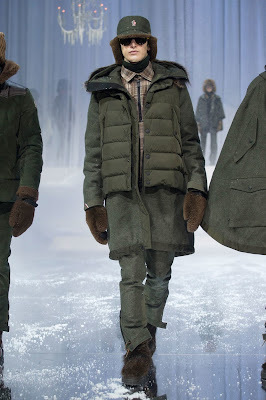 Against all the eye-popping nylon, light-as-air Japanese wools offered texture relief. 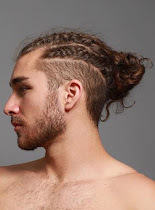 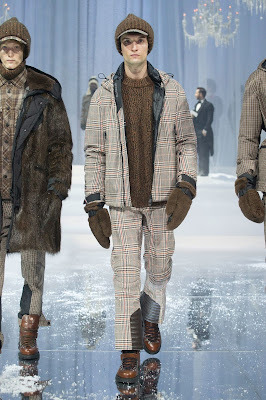 They, along with corduroy, velvet, and fur -as in swishy skirts- suggested this was not purely an athletic endeavor. 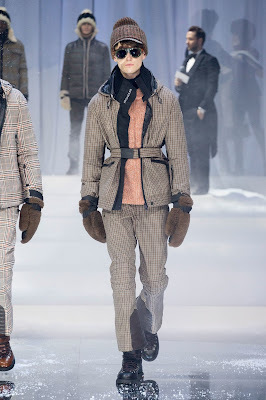 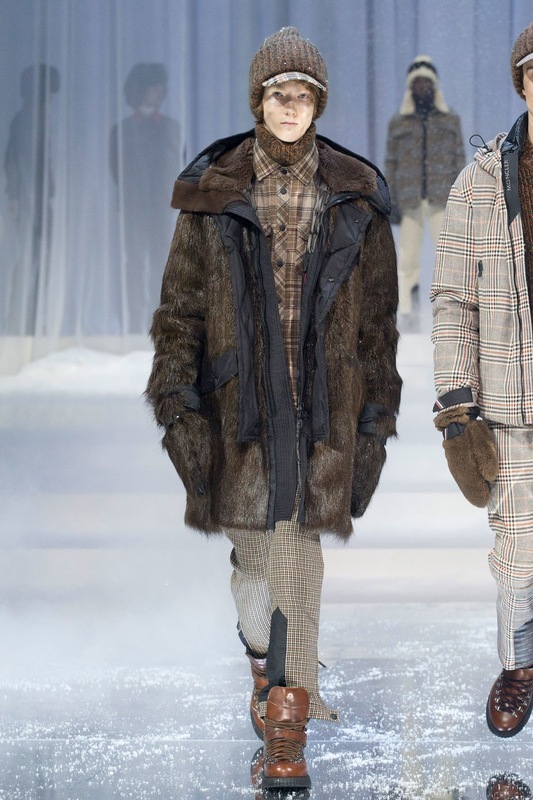 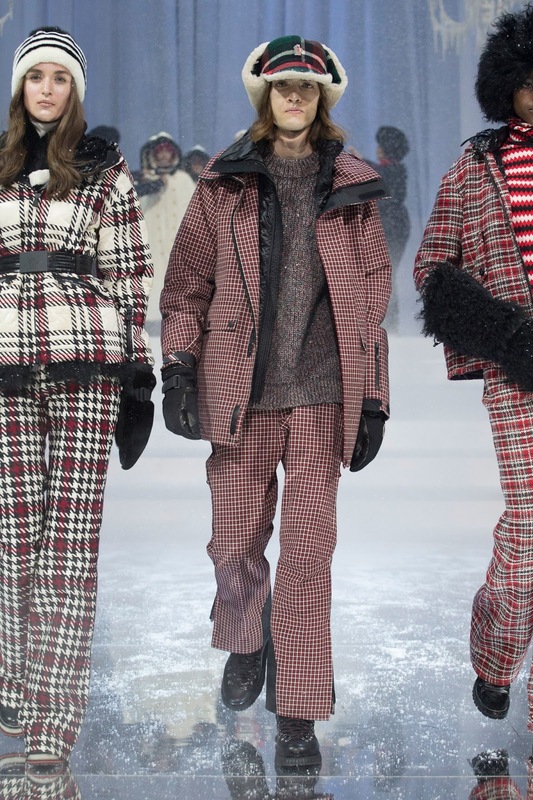 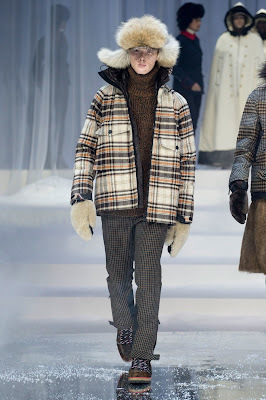 The highlights were ensembles with clashing tartans and other patterns -tension, finally- as well as macro Glen plaids and houndstooth in rich shades of beige and chocolate. 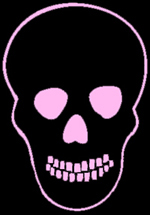 The entirely rose-covered closing segment came off more schmalzy than enchanting. 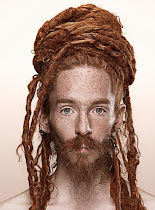 So perhaps the original question isn't so much of a question as an unanswerable conundrum. Better yet, perhaps the brand would do well to tap a trusted designer to finesse that fraught balance between sport and leisure. 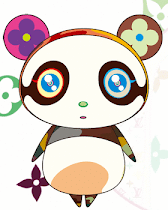 I'm reading: Moncler GrenobleTweet this!